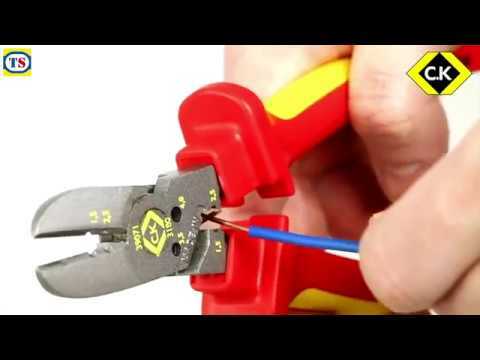 Premium VDE cutter pliers. 91918 will cut 3.5mm pattress screws, 24841 up to 4.5mm. Certified to VDE 0682/201:2005 01 & IEC 60900:2004. GS approved. DIN ISO 5749. VDE certified and individually tested to 10,000V for complete safety when working on live equipment up to 1000V. Drop forged chrome vanadium steel for strength and durability. Induction hardened and precision ground cutting edges for unsurpassed cutting performance. Pattress screw shear for damage free cutting of 3.5mm pattress screws. Ergonomic dual component handles offering the perfect balance of grip and comfort. Certified to VDE 0682/201:2005 01 and IEC 60900:2004. GS approved. DIN ISO 5749. C.K Redline VDE Combicutter Combicutter1 160mm is rated 5.0 out of 5 by 2. Rated 5 out of 5 by Severus7 from Brilliant tool Really happy with this tool I've used it plenty of times already!!! 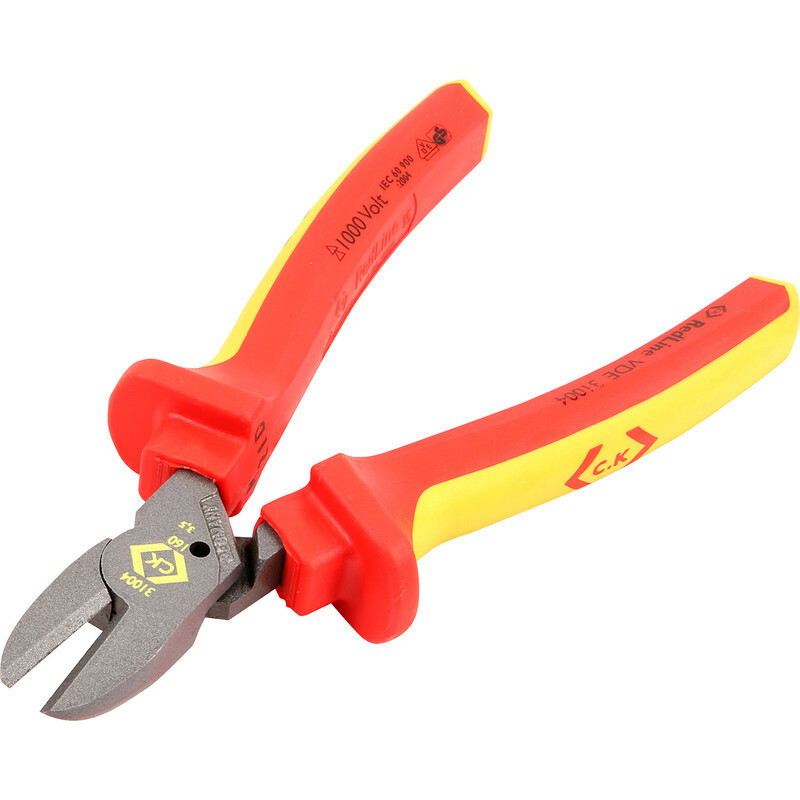 Rated 5 out of 5 by mfbes from wire cutters Real quality item from a well known manufacture. Very happy with purchase. Cuts cables easily, strips insulation no problem and shears 3mm machine screws cleanly.